Nice lens, but the big question is how will it perform on the A7 series..
No curved microlens array in the sensor plane, so not real well, decent. 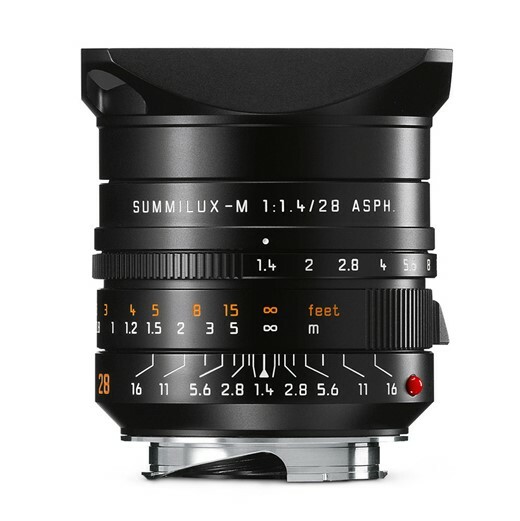 Better on an APSC mirrorless, or m4/3s body. I don't understand why/how its performance on a third-party body is the big question. That you can is great, but it isn't the BIG question. It is merely an interesting one. Just a tip of the ice berg for you nay Sayers, A7II will give you IBIS for all manual focus lenses, A7R will give 36mp sensor and A7S will just make you want more. So pls come again. And again, the A7 has this weakness that M9 doesn't, nor the M240. ttran88: I own a Sony A7r. I is a very useful 35mm back for on-location commercial stills (what I do for a living). The Leica is not at all good for that because its focus system is 100% focus and recompose and my job requires something different. But apart from that, the two are not even compatible. On camera is made a fabulous concoction of the latest tech with next to no attention paid to HOW it shoots. The other is all about HOW it shoots: ease of use, logical controls, and non-TTL viewing. The A7r is basically an electronic SLR. Which is fine. But unless the sensor is only thing that matters in photography, the two cameras are completely incompatible. The most basic settings: sync to grey card, shutter speed, Bulb, timer, etc., for instance, are so simple with the Leica that you just get to shooting, and you have the freedom to attach an EVF or use the LCD if TTL is your thing. Again, that you can attach it to an A7 is great. But the A7 isn't great. I like the font they use for the numbers, but I don't like it 3700 dollars worth. The lens is pretty cheap (if your a professional sports star) it's the lens hood that kills yer. Awww shoot, I guessed it'd be 5k. If it wasn't so outrageously expensive, nobody would buy it. That doesn't follow, M lenses cost a lot less in the year 2001, and they sold. When I owned an M4 I was always waiting for a raise as the lenses were always a months pay. I will not pay that amount of cash without a red dot on it! The red dots only came to Leicas in the 1980s. And there is the normal lens red plastic half sphere. There is a red dot on it. No curved sensor lens array with the A7. How many wil sell in a year !!!! As many as Leica can make. That's been the pattern of late. Then after a few years they stop selling out immediately. If this lens was made from solid gold, it would cost $18,600 (15.5 ounces x $1200). So it really is a bargain at $6,000! You're not considering paying the workers and engineers and factory upkeep. That $18,000 would be a lump of gold. Do you think an 8 foot pair of platinum speaker cables which retail for say $40,000 really have $37,000 in platinum in them? But Gold is 7.15 times denser than Aluminum. So if you made a gold lens at that weight, it would be as thin as paper and crumple in your hand when you went to put it on the body. So to keep the walls and mount as thick as the current lens....you would need a gold lens that was about 111 ounces, or 7lbs. 111 ounces is $133,200. But you could save a little by subtracting the weight of the glass lenses - those you can reuse. I think Marty was thinking solid gold, no optics. The parenthetical line gives away the joke. I was just pointing out that materials are rarely the whole cost--even when the materials are really expensive like platinum wires. There are all good points. I need to save up $133,200 so I can get this lens made in pure gold. And I suppose I will need to spend another $5,995 to get the glass parts too. Thanks for all the help, guys! Was wondering if they threw in the camera, I'm shocked at the price too. Again, Leica don't make stuff for people who budget for lots of little, or comparatively cheap things. They make stuff for people that budget for fewer larger, or nicer things. Any normal lens/body mirrorless churner could afford an M camera and a great lens no problem. The problem is that that would mean they would have to stop constantly upgrading from one body to the next, one lens or lens system to the next. Leica gear heads do exist, but in general, Leica users are not living the packrat lifestyle.